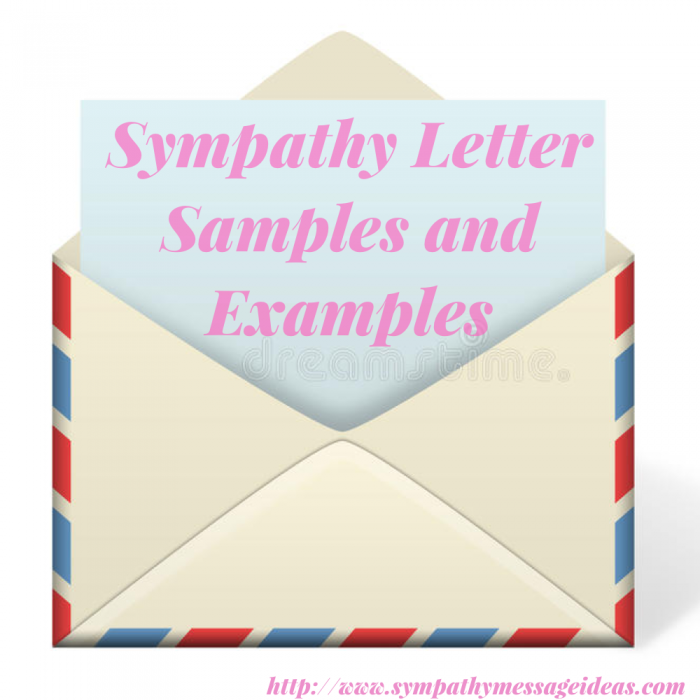 Tags Posts tagged with "Sympathy Letter samples"
Whilst in most cases sending a short note or message will suffice there will be times where it will be more appropriate to send a letter. If you are looking to send someone a sympathy letter or note then finding the perfect message or writing your own is a good way to go. However you might prefer a whole condolence letter, rather than just a short one or two lines. This way you can really convey exactly how you’re feeling and make it a little more personal and special. But writing an entire condolence letter is tough. Just finding the right words for a short sympathy message is tricky enough! So knowing what to say and how to say it in a full letter is a daunting prospect. What’s the correct format, how long should it be, how much detail etc. You can follow our guide below to writing your own sympathy letter. Alternatively you skip down to the letter samples and use or copy them. Before writing your sympathy letter there are a few considerations to take into account. Send your letter within a prompt time. Ideally in the first few weeks and before the funeral. Doing so any later could be considered rude and disrespectful. If you can then try to hand write your letter or note. It shows you’ve taken more time and effort as well as being more personal. It makes it more special than anything typed. A sympathy card is acceptable but try to include your letter in some way – either slipping the handwritten note inside or writing it into the card itself. If you’re attending the funeral or service then there’s a good chance a box will be there to place sympathy cards in. Remember that a sympathy letter should come from the heart. Don’t attempt to make it too fancy or special, just speak from the heart. Consider what it is that you’d like to say that sums up precisely how you feel; be that about the loss they’ve suffered or how much they mean to you. If this still seems daunting then read some of the steps below to writing your own or see the examples further down for inspiration. Follow these steps to write your own sympathy letter. Not all of them are necessary but it should give you an idea of the way to construct your letter. Begin by acknowledging the loss and be direct. Whilst you don’t want to be crass or harsh you shouldn’t shy away from the fact someone has died. Remember to refer to the deceased by their name as well. You could talk about the deceased and a favourite memory you had of them. Maybe a funny anecdote or warm memory. Following on from that you could mention some of the deceased’s best qualities or personality traits. If you can then offer some form of support. Be that help with the funeral, doing some shopping or cooking for them, looking after their kids etc. Only offer if you mean to help though. Don’t make it any empty gesture. Finish the letter with a statement of support or thoughtful sentiment. Unless you are absolutely certain the recipient or bereaved had a strong faith or religious side then avoid using any religious wording or overtones in your letter. There are some phrase that should always be avoided. The likes of: “it was there time”, “these things happen for a reason”, “it’s for the best” etc. These could all be deeply offensive and strike the wrong tone. Let them mourn at their own pace and deal with in the way they feel most comfortable. Try not to push them into moving forward with their grief faster than the are ready for. Do not go into detail regarding the cause of death. This could be an unwelcome reminder for the bereaved when they are trying to avoid dwelling on the circumstances. Whilst there isn’t a set way to write a sympathy letter this should give you an idea of how to format it. A sympathy or condolence note is very similar but usually shorter. Perhaps pick out what you consider the most important parts from above and include those for a note. If you’d rather some more practical help then use one of the sympathy letter examples below. Either as a guide to writing your own or, if it fits, you can just use one exactly as it is. Hopefully they’ll help you to offer the comfort and support the bereaved needs at this very difficult time. I am sorry about the loss of your beloved ____________. We send our deepest condolences to you and to your family. Please let us know if there’s something we can do to somehow lessen the pain you feel in your hearts. We will always be there for you. Our love thoughts and prayers are with you and your entire family. As always, we are blown away by your amazing spirit and strength. It was a pleasure meeting your __________ last month and look forward to seeing you all soon and creating new memories. My condolences. I’m sorry to hear about your loss. _____ was a very thoughtful and wonderful person. We will never forget those trips we had with _____, and we will always miss _____. We love you. Our deepest sympathies are with you. Please call us if you want someone to talk to during this tough moment and we will be there for you. Dear_______________, My heart is breaking for you. Please know that we are here for you. Whatever you need it will be done. I am bringing dinner over tomorrow night. Dear_______________, Please know how sorry I am for your_________. It brings back difficult memories for me and my _________. I experienced a very similar situation. All I can say, Is enjoy the time you have and make sure you live without regrets. I can’t tell you how sorry I was to hear of your mother’s passing. She was such a sweet and kind lady and I will always remember her for that beautiful smile that she always displayed. I always admired her tireless energy- nothing ever seemed to slow her down. I think your mother’s greatest legacy will be in the wonderful children she raised. She was so very proud of all of you. The one thing I will probably miss the most is those Sunday chats your mom and I had. She was always quick to start a conversation and I will miss her wisdom and great stories of times gone by. I hope that you will find the inner strength to get you through this sad and difficult time. You have my very deepest and sincere sympathy. We were deeply saddened to hear of your mother’s death. It was a shock to all of us. I think that the loss of one’s mother is by far the saddest event of anyone’s lifetime. There is just no other loss that measures up to this one. But knowing your mom as we did, we know that she wouldn’t want us sitting around grieving but rather celebrating the wonderful life she led. I’m sure she had few regrets in living the full and successful life that she did. We join in with everyone who knew your mom in wishing you peace and comfort as you face this very sad time. Our thoughts and prayers are with you and your wonderful family. I was very sorry to hear of your mother’s death. Having lost my mom less than a year ago, I know full well the grief and sadness you are feeling right now. I know that the thoughts are no doubt overwhelming that nothing ever will quite be the same. That certainly is true, however, soon you will have the memory of your mom that will live on in your heart and mind as well as in the hearts and minds of all of us who knew and loved her. I will pray for God’s choicest blessings on you and your family at this difficult time. Using a source of faith can be of great comfort to someone suffering the loss of a loved one. These are some examples of how to use words of faith and religion to console and offer hope to someone who had lost their mother. How very sorry we were to hear of your mother’s passing. Our thoughts and prayers, and those of so many others who knew her, are with you at this sad and difficult time. Your mother was blessed with so many wonderful experiences and a long and productive life. You must feel blessed as well to have had her a part of your life for so long. Our faith tells us that God is showering his blessings on you at this very moment as well. The Bible says “Blessed are they that mourn for they shall be comforted.” I pray that you will find peace and comfort in these words and that God will give you the strength and courage to go on. God Bless You and your wonderful family. I want to let you know how sorry I was to hear of your mother’s death. She was a radiant and wonderful lady who enjoyed life to the fullest. I know that it seems like a sad ending of a life, but I have faith that your mom is on a wondrous journey to reap her just rewards. Hers was a good and blessed life and the happiness and joy that she brought to all of us will live on in her memory. I think that mothers are one of God’s greatest blessings, and your mom was no exception. Her angelic smile and sweet voice made her a joy to be around. I will miss her dearly. I ask for God’s choicest blessings on you and your family. May your faith guide you and comfort you in your sadness. I hope this finds you doing well and holding up over your mother’s death. I know what a difficult time it is for you. I think that when God created mothers as the very special people that they are, that He had your mom in mind already. She was truly one of those blessed and good people who are full of so much grace and dignity. I know your faith will comfort you. My prayers will be for you and your family to find the peace and strength that comes in knowing that a loved one has gone to their eternal rest. I am so sorry to read your devastating news. I never met your Dad, but know how wonderful and supportive he was to you over the years and can only start to imagine what you are feeling now. You will gradually find comfort in all the happy memories. Your parents found their new life in Australia and lived the last years of his life in contentment there, surrounded by family. Your dad lived to see you find happiness and security and love. He will have died content for knowing that. AND best of all he did not suffer a long illness. Make sure you find time to grieve and allow yourself to do so – and don’t expect it to pass quickly. Losing a parent takes time to process for us mortals. Do you remember I was in the aftermath of losing my dad when we first became close? I didn’t fully recover from that for at least two years – and made some very strange decisions and acted out of character for much of that time. I wish I could be with you to try to help somehow. I’m giving you a big hug now from halfway across the globe. Sending love to you and all your family. Take care and hang on in there. It really saddened me when I heard about the ill-timed death of your father. My thoughts and prayers are with you and your family. Robert was a great human being, and he will be sorely be missed. I was very shocked when I heard of his demise owing to illness. Throughout the night, I kept reminiscing all the wonderful times I had with him. He was like a father to me. I especially remember the time he took us fishing to the lake, we caught the most amazing fish I had ever seen, and the barbecue we did afterwards was unforgettable. I cannot even imagine the sorrow your mother must be feeling, but please give her my condolences, and also tell her I will come to visit her soon. In this tough time, Eugene, you have to be equally tough, and take your family through this period of sorrow. I can understand how hard it must be for you, as you too were very close to him. But being the elder son the family, you must bring yourself together, and take care of everyone else, especially your mother. She too will be in a fragile mental state. So keep her happy at all times and remember, great human beings do not die, but live forever through the lives they have touched, and the good principles they have instilled in their children. My prayers are with you and your family, Robert was a great person who touched many lives, including mine.